Experience new facilitated team building activities and adventures in Sydney Taronga Zoo with Thrill Wild Ropes. Simply the most exciting way to get in touch with the native Australian wildlife, birds, monkeys and orangutans in the zoo. Is to become like one. Orangutans also called Pongo Pygmaeus. Are highly intelligent, close relatives of us humans. They may have a longer arm span. However the elements of this wild tree top team building experience is not out of a corporate teams reach. Wild Ropes at The Zoo is suitable for all sizes and styles of corporate events from conference break outs. Ideal for incentives and rewarding business meetings in Sydney. 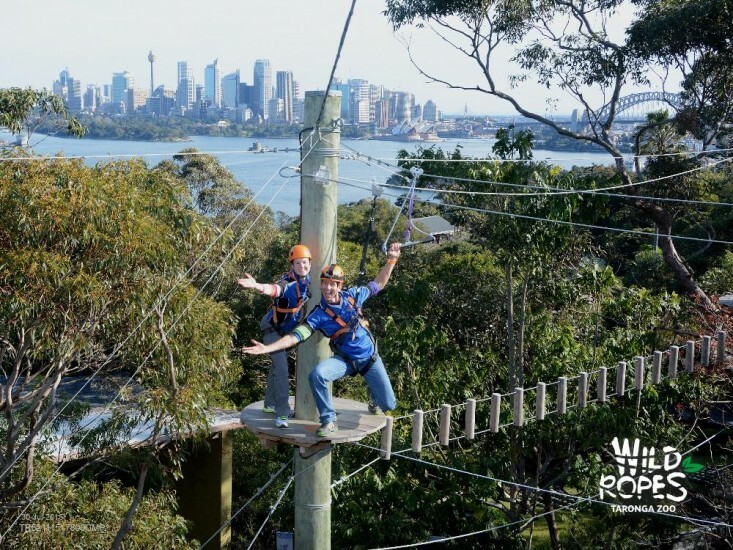 Getting to Wild ropes is easy by car, bus or 12 minute Ferry ride from Circular Quay, Sydney. You will be welcomed by Thrill staff. The indemnity form process is streamlined. Free locker space, a Sydney Water sponsored bubbler for hydrating and excellent toilet facilities for the nervous. Wild Ropes staff calmed all fears. It is team building made easy. Strapping into comfortable full body harnesses and excellent quality Black Diamond helmets. Staff are excellent in being both helpful and friendly. Explaining the Wild Ropes Course features, safety and unique easy to use continous belay ropes course pulley system. Reassured nervous corporate groups immensely. James the manager joked that if we get stuck or panicked Taronga Zoo Staff could tranquiliser dart us. Then lower us down with their retrieval gear. Very few rescues of stranded arboreal humans has been required so far. Once harnessed you are guided to the top deck. Where the views of Sydney Harbour are glimpsed through the canopy of tree foilage. There are 4 courses available with basic entry giving you access to 2 courses. Typically selected is one High Ropes approx 8-10m off the zoo paths and one Lower Ropes approx 3-5m above the humans and other zoo animalia. The highest West course has the most spectacular Sydney views. Which is best left to complete last. As the pinnacle or Mt Everest in your teams corporate challenge activities. The first gingerly steps onto the wire ropes are over the curious emus Ned & Kelly. The aussie zoo animals, Brolgas, Pelicans, Eastern Grey Kangaroos and more macropods like Wallabies and Wombats went about their scratching, sleeping, flapping and hopping about. Oblivious to your daring adventure flight lifting off the terra firma. A most intriguing aspect of the experience was the human animal interactions and behaviours. Kids in the zoo below with their mums and dads pointed out the dangers. Exclaiming what’s coming up! Excitedly followed and cheering groups onwards and upwards. Their exuberance bouyed our own spirits of adventure. The first few technicalities called elements, each course with approx 17 were leisurely accomplished. We find once employees are into the swing of things. They love the challenge. Enough to get you focused, energised and thrilled. But not too much of scary obstacles. Each challenge element was overcome with teamwork, support of peers and encouragement. Highlights on the Wild Ropes Fun Challenge Taronga Zoo Course included the Pogo Sticks, Criss Cross and X marks the spot where you manoeuvre around the poles that bar your path. The best fun on our team was The Sled, surfing the ropes on the Surfboard. Crossing the wombat and birds of prey pattern steps. I revelled in the trapeze elements, throwing ourselves a perfectly safe and picturesque platform overlooking Sydney Harbour. With views out to The Opera House, Botanic Gardens, Fort Denison, Mrs Macquaries Chair. We laughed at the spinning Jet Boats and waved to Ferry’s weaving up and down Port Jackson from Manly to Sydney’s Circular Quay. It was bliss to escape the hub-bub of the city and corporate pace stress. The time out sharing a fun adventure experience only a 12 minute Sydney Ferry ride from Macquarie, George, Kent, Argyle and Pitt Streets. 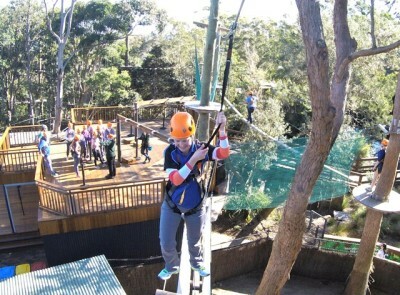 Puts this ropes course within easy reach of a 3 hour Sydney corporate team building activity. We suggest combining Taronga Zoo Birds of Prey Bird Show and other animal interactions as a package for your delegates to be even more impressed. The Wild Ropes Program can include catering options, beverages and a range of snacks easily organised through Thrill events. For the less active or mobile watching the human interactions in a stunning wildlife environment was the biggest pleasure. As those that stay on the ground can talk to their super person and spider monkey colleagues climbing through the tree tops in a civilised manner. Extra features at the Zoo tree tops adventure was integrating selfie technology with real time real life photos where you can be calm, casual or show the whites of your eyes as you hit the button. A green screen photographic studio to can create special effects and bring out the beast in your alpha male blokes team. Our verdict; a terrific fun adventure experience that brings the childlike fun qualities of our existence with Sydney views. Great achievement for a rewarding and mildly invigorating climb. So what are you waiting for? Spring into action grasp your next team event. Custom built. Conference venue room and state of the art facilities. Animal encounters handling. Catering for banquets and BBQ’s. A wide range of guided and facilitated team building activities for leadership, team bonding or just for fun. Taronga Zoo Treasure Hunts discovering real treasures. Survivor and Im a Celebrity / Team Player Get me out of here! Wine n Dine Master Chef Cooking at Taronga Zoo. Wild Life Zoo Encounters of The Corporate Kind. Or head to Cockatoo Island with Pizza, celebratory drinks viewing the harbour, convict cells and underground tunnels to explore. For your staff and employees incentive experiences. Speak with the Thrill team and get your next interactive Sydney Corporate Event off the ground. 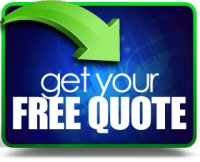 Receive Free offer this Winter. Up to 5 Free Sydney Ferry tickets for corporate events organisers, HR managers, Personal Assistants PA’s and EA’s Executive Assistants. When booking a Sydney corporate or business group on your next team event crossing Sydney Harbour to Taronga Zoo, Manly or Luna Park. Call 02 9630 2222 or complete the enquiry form now.